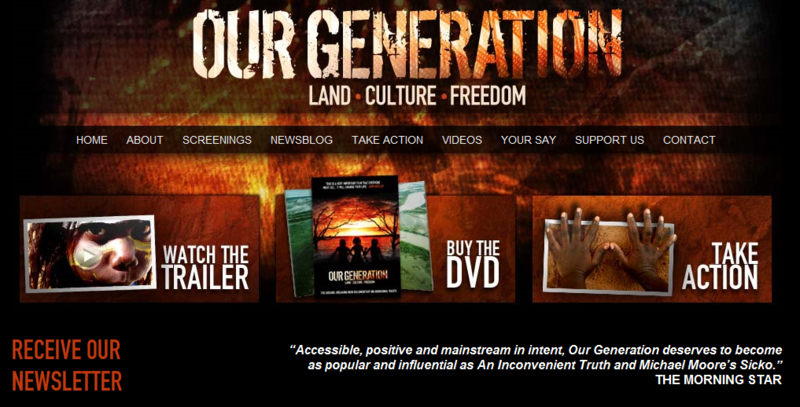 Transition Blue Mountains to screen “Our Generation” film. Transition Blue Mountains will host a screening of Our Generation, which documents the lives of Aboriginal people in the Northern Territory – the impact of the controversial intervention, being forced off traditional lands into townships crippled by social dysfunction, the removal of traditional languages from school education and unfair mining deals. Film makers Sinem Saban and Damien Curtis examine the issues of underlying disadvantage through the eyes of the Yolngu people of north-east Arnhem and canvass solutions that respect Aboriginal culture and dignity. Music is by John Butler Trio, Yothu Yindi, Archie Roach, Gurrumul, and Goanna. This entry was posted on Tuesday, April 12th, 2011 at 2:33 pm	and is filed under Events. You can follow any responses to this entry through the RSS 2.0 feed. You can skip to the end and leave a response. Pinging is currently not allowed.